The sun came out last Sunday for our Working Bee at the club field - and we mowed the grass - cleaned up a few rocks and got started building a verandah to the club house - great - now we can go flying anytime - then - on Monday it rained and has done so all bloody week. Oh well - back to the building board - but damn it I want something I can fly straight away - so - went to the LHS - Ah! - I have committed a sin dear reader and bought an ARF!! I shall scratch build 6 more models as my repentence. 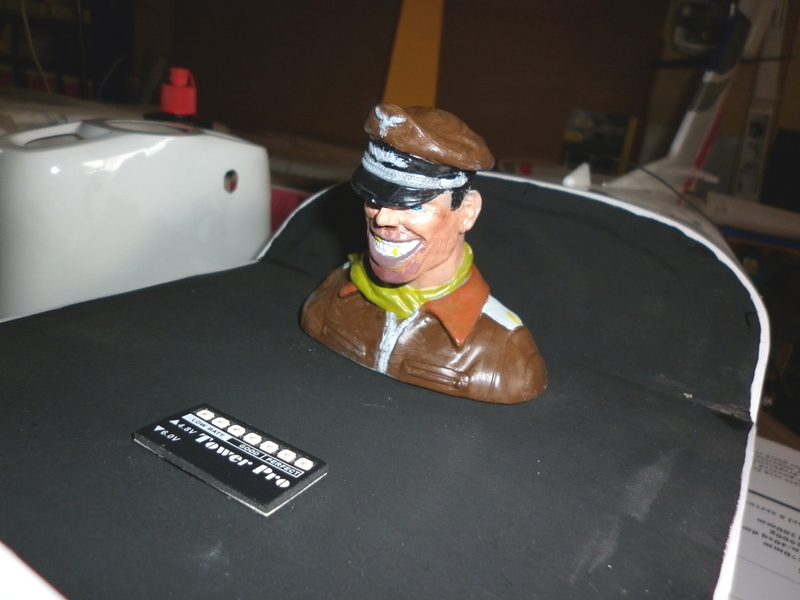 As noted above I bought this model completed and did not assemble it myself - however - The model was not set up so I had ample opportunity to examine and check the build quality while setting servo throws and all the other small jobs that are required prior to a maiden flight. My first surprise was that the "Chinglish" instructions were readable with only a few spelling and context errors in the manual. My second surprise is that, as far as I can find out, this is NOT a scale model. The Asso Champion, in it's various incarnations, is a home built all wooden construction 2 seater light aircraft with a fixed or retractable tricycle undercarriage. The model is a fixed undercarriage TAILDRAGGER with provision to fit retracts. I trolled "GOOGLE", "WIKIPEDIA", "ASK JEEVES", "YAHOO" and all the photo sites I could find plus delved into ever "HOME BUILT" website available but no where did I find a photo - or evidence - of a taildragger version. Now - hopefully - I'm going to be drowned in replies from those more knowledgable than I telling me I'm blind, stupid, senile or just plain bloody thick between the ears and those replies would be most welcome. I'd like to know that I was just to bloody dumb to find the right information! 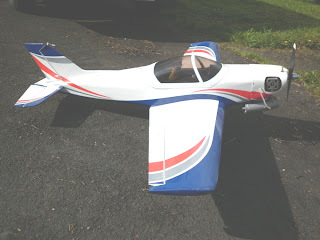 Next week I'll publish a review of the model - hopefully the rain stops so I can give the thing it's maiden flight. On the model building front I've done some more on the Wirraway conversion, the Witmann Tailwind and the Lanzo Bomber. I'm still waiting for my mate to work his Photoshop magic and recover the build photos of the Lancaster, the Phoenix and the Senior Telemaster. Photo's of the progress on the first three are posted on their relevant pages. Next week's update might be a few days late - I have to go into hospital for surgery and the surgeon has a nasty gleem in his eye.